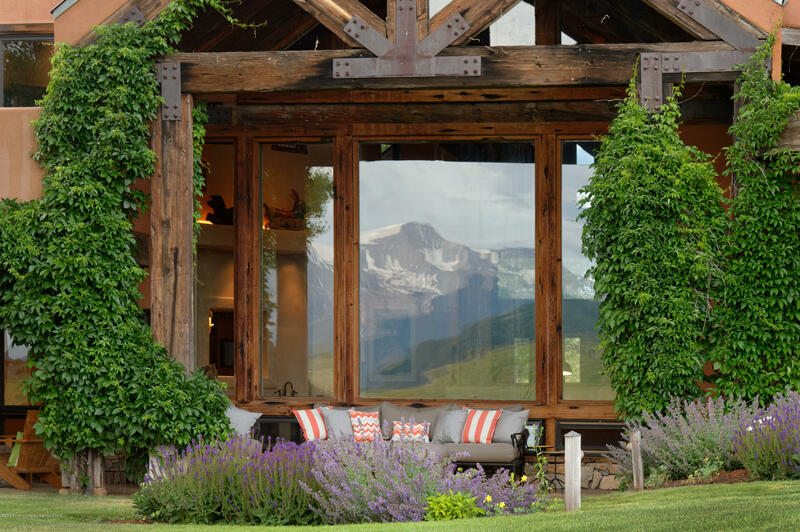 Timeless, peaceful, alluring...words that describe the ambiance of this designer created home built around 40 doors reclaimed from Mexico, South America and Morocco and beautiful hand-hewn beams. This 5, 872 sq ft home captures the essence of true Rocky Mountain living. Brilliant architectural details enhance the way this house lives....casual and inviting. Gourmet kitchen with custom mesquite cabinets, all the appliances one needs for entertaining such as double dishwashers, Sub Zero refrigerator and more. Master bedroom suite has His and Hers separate bathrooms and separate walk in closets. Located on over 32 acres with irrigation, pasture for horses, arena, a barn, and compelling views of Mt. Sopris.